Located at the Preserve Sporting Club & Residences. Nestled amid 3500 acres of adventure and luxury living. Created in the tradition of history’s legendary expedition outfitters and open to the public seven days a week, this two-level, 15,000 sf retail space offers $10 million of inventory, including bespoke FAMARS shotguns and rifles, a wide array of long guns, pistols and ammunition at the lowest prices, equipment and supplies for every imaginable outdoor sporting and adventure activity, all-season clothing, formal wear, and cigars. There is even a Sporting Shoppe outfitting program, sharing only our best hunting, fishing, and photography guides from across the globe. The Range, America’s longest underground automated shooting range and Rhode Island’s largest, encompasses four 150-yard rifle lanes and 15 100-foot pistol lanes featuring Meggitt automated wireless target control systems, plus 3D Archery and Fire Arms Training Simulation (FATS©) and Golf Simulation rooms. 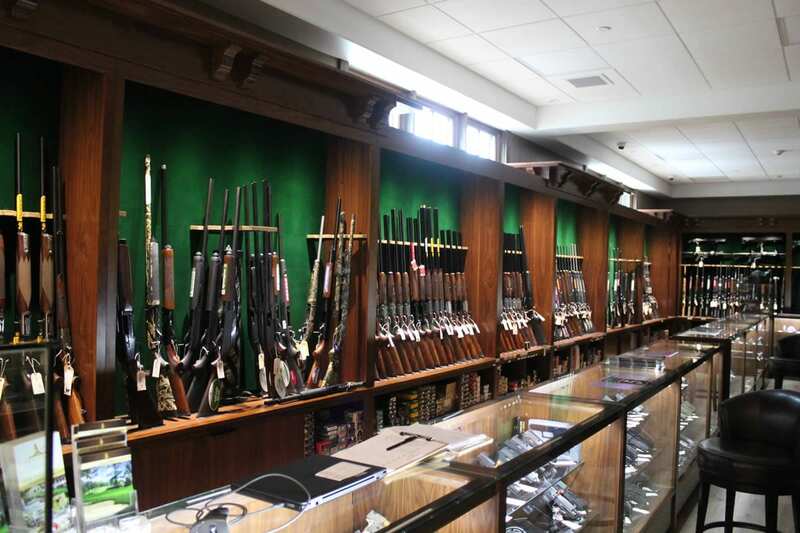 There are no caliber restrictions in our fully heated and air conditioned facility. Available to members are a two-story trophy wall, reach-in humidor, lounges, and a locker room. We offer fun and exciting firearms classes with talented and certified instructors.